Friends, the day has arrived! The day that actually crispy (not fried) chickpeas can happen in your kitchen! Like, it’s a real thing! 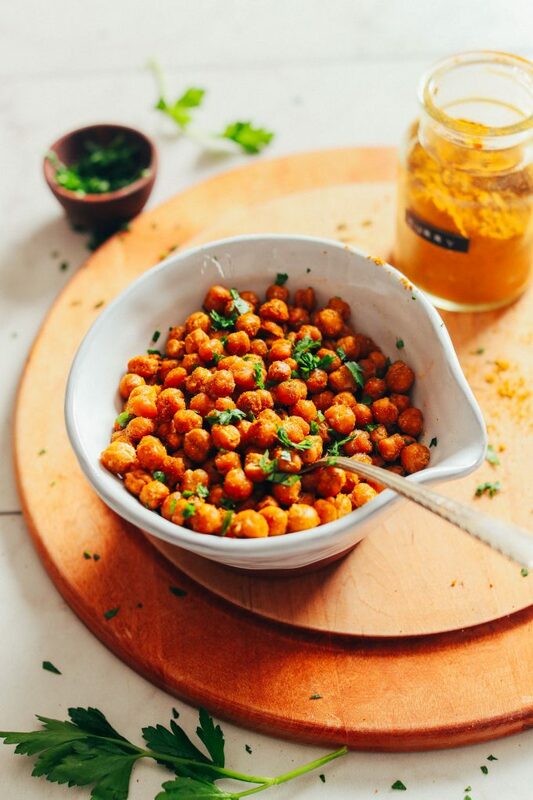 The magic of this 4-ingredient, easy recipe starts with cooked chickpeas. I went for canned because: easy. But I also suspect you could use home-cooked if that’s your thing. The #1 crispy tip is to rinse, drain really well, then dry really well.